Rank 1: Unbelievable! 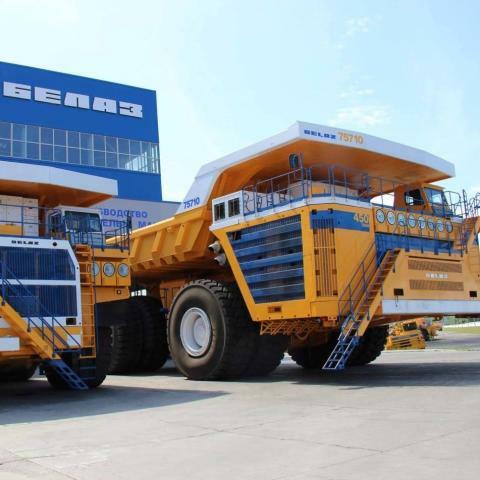 The Belaz 75710 is more than 20 metres long, over 8 metres high and 9.75 metres wide. These are pretty much the dimensions of a twin house. Fully loaded the Belarusian truck weighs over 800 metric tons and still has a lot of power under the hood. Overall, 11,165 PS (11,012 HP) lead to its maximum speed of 64 km/h (39.77 mp/h). The possible load capacity of up to 450 metric tons provide the first place in the ranking of the biggest trucks in the world.